All of our inlay wood is produced in the USA, utilizing the finest exotic and domestic hardwoods. Whether you are learning a new trade, enjoy honing your craft, or are creating a fine work of art, having the right kind of inlay wood can make all the difference in your completed project. At Sauers & Company Veneers, we have over 50 years of experience providing our customers with the high-quality wood veneers needed for a variety of different project types, and our inlay wood won’t disappoint for projects of any scope and size. 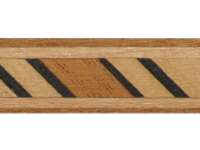 Whether you are completing marquetry and require unique geometric shapes, stringing a contrasting color to your wood furniture, or banding for a more intricate, stylized feature, you’ll find that our inlay wood offers the options you need. Not only can our experienced staff assist you with grain and color matching, but we can also help you determine the ideal inlay wood thickness, the type of backing that will work best, and the type of glue that will provide the most secure finish. When you are looking for inlay wood, it’s important to us to be able to provide the top-quality products and materials that you need while also maintaining an excellent customer experience. Our skilled team has decades of experience providing solutions for all types of woodworking projects, and we’ll work with you to make sure you are able to achieve your goals. All of our inlay wood is produced in the USA, utilizing the finest exotic and domestic hardwoods. All dimensions are consistent, while achieving the attractive patterns you need to make the most out of each of your woodworking projects. 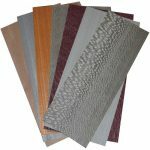 Contact us at Sauers & Company Veneers today to shop inlay wood or to speak with one of our representatives. We look forward to hearing from you. Click on the images below for product details. At Sauers & Company Veneers, we create inlay wood products for residents of Anaheim, Los Angeles, and San Francisco, California; Dallas, Texas; New York City; Chicago, Illinois; Boston, Massachusetts; Charlotte, North Carolina; and anywhere else in the United States.